As one of the richest sources of diversion for the people of Britain between the end of the First World War and the 1960s, the variety theatre emerged from the embers of music hall, a vulgar and rumbustious entertainment that had held the working classes in thrall since the 1840s. Music hall bosses decided they would do better business if a man going to theatres on his own could take his wife and children with him, knowing they would see or hear nothing that would scandalise them. So, variety, a gentler, less red-blooded entertainment was gradually established. At the top of the profession were Gracie Fields, a peerless singer and comedienne, and Max Miller, a comic who was renowned for being risque, but who, in fact, never cracked a dirty joke. 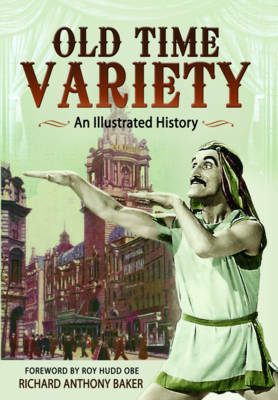 They were supported by acts that matched the word 'variety': ventriloquists, drag artists, animal acts, acrobats, jugglers, magicians and many more. But the variety theatre was constantly under threat, first from revue, then radio, the cinema, girlie shows, the birth of rock 'n' roll and finally television. By the end of the 1950s, the variety business seemed to have given up, but the recent and extraordinary popularity of talent shows on television has proved the public appetite is still there. Variety could be about to start all over again.